Use the form below to inquire about Luxury Wildlife Resort At Kabini . Use the form below to reserve for Luxury Wildlife Resort At Kabini . Air Conditioned Room, Hair dryer, Hot and Cold Running Water, In-room Refrigerator, Intercom, Jacuzzi, Tea/Coffee Maker, TV with cable connection in each rooms. 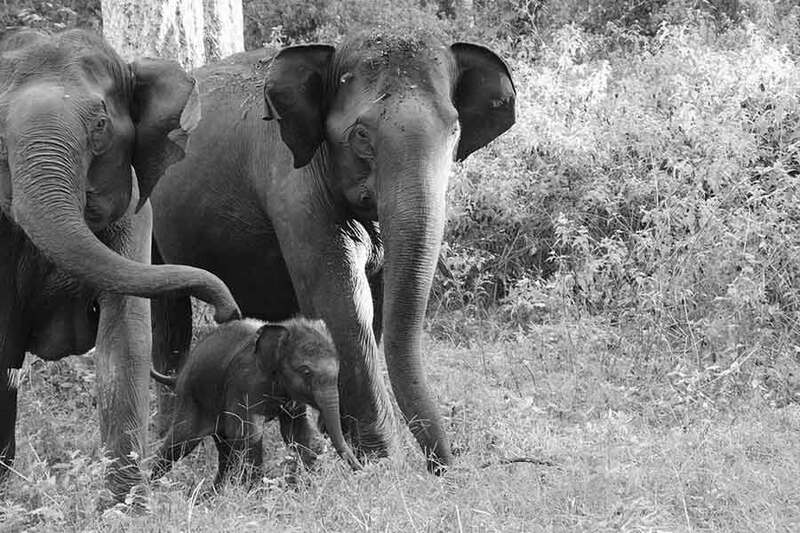 Kabini is a natural haven and is rated one of the top five wildlife destinations in the world. 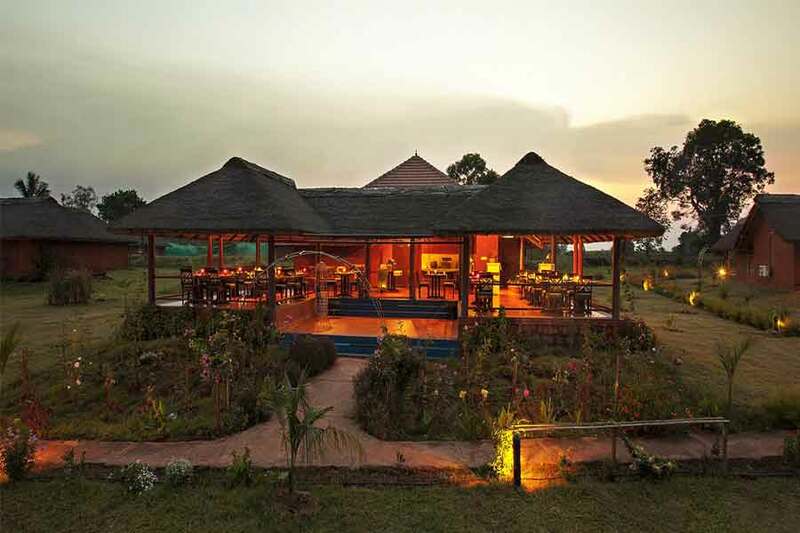 This Luxury Wildlife Resort at Kabini rests away in the greenery on the banks of the Kapila River that separates Nagarhole and Bandipur National Parks. A cluster of down-to-earth cottages with thatched roofs give the appearance of a beautiful village which is completely in sync with nature. 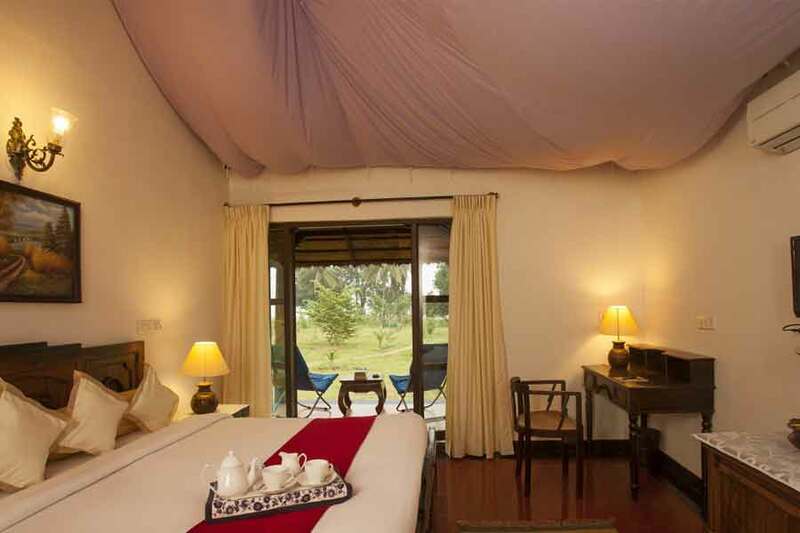 Luxury Wildlife Resort at Kabini has a laid-back, traditional, Indian outlook. Beautifully landscaped gardens and a stunning outdoor pool overlook the reservoir and provide the backdrop for 20 well-designed cottages gathered around a small lake. 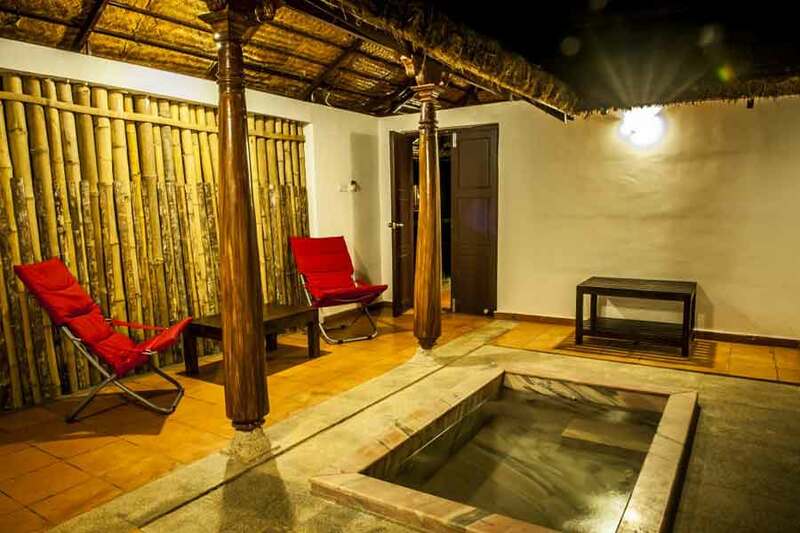 Spectacular views of the backwaters can be enjoyed from these earthy but luxurious cottages. 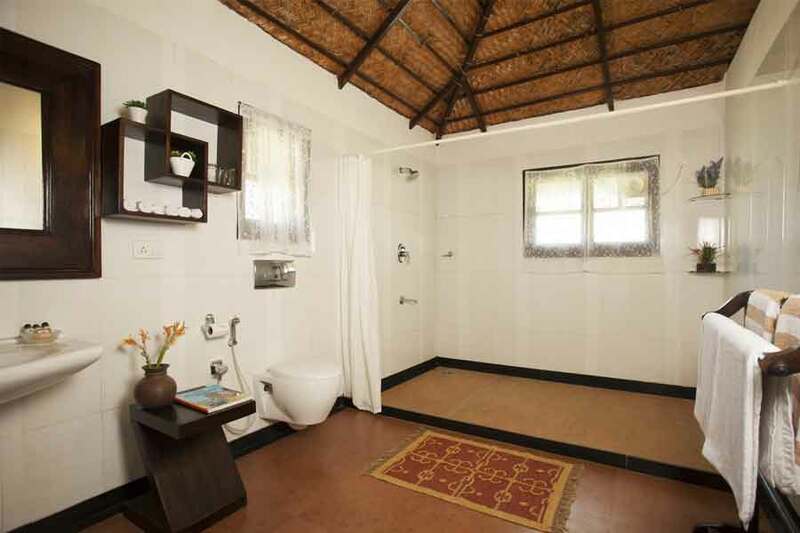 The cottages here are done up in a rustic style blended with modern amenities to pamper the guests. Cottages are gilt-edged with Jacuzzis that are open to the sky, air conditioners, mini-fridge, and cable TV. The National Tiger Conservation Authority (NTCA) has identified the Bandipur-Nagarhole corridor as India’s hope for long-term wildlife conservation. A safari into this wild arena will leave you with an extravagant show put up by leopards, tigers, Asiatic elephants, Gaur, and exotic birds among others. 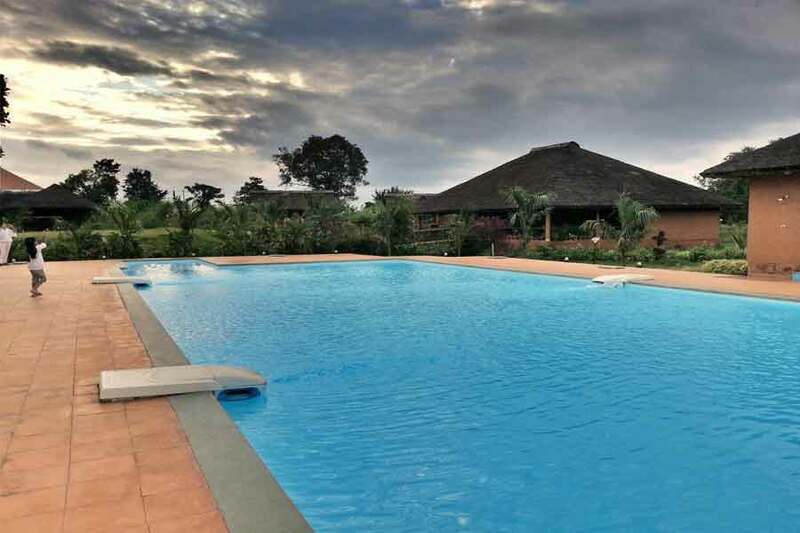 World class hospitality and classy designs are some of the few parameters that have fetched Luxury Wildlife Resort at Kabini many accolades like the TOFTigers PUG Eco-rating. Wastewater is recycled and solar energy systems are installed in pursuit of sustainable tourism aimed at supporting the local community. 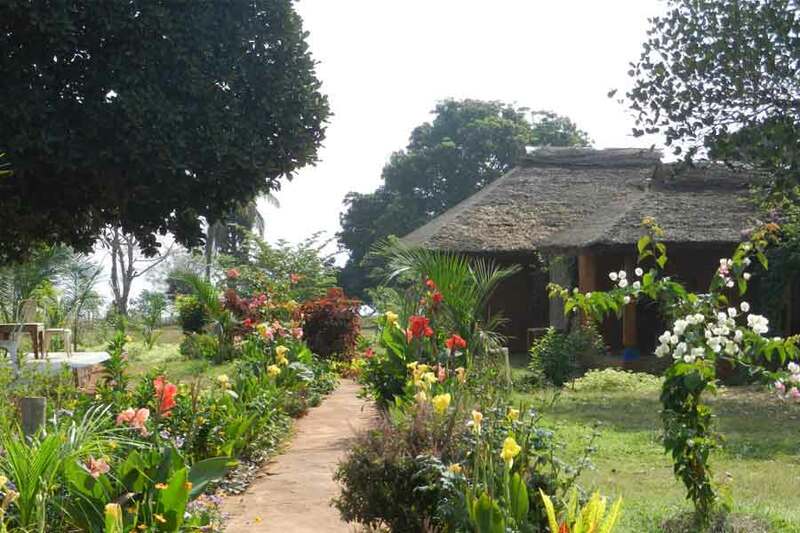 Thus, the cottages have walls of mud and thatched roofs of grass. Most employees are from the neighboring villages and folk performances are held at the resort. A fully-equipped conference hall, spa, separate vegetarian kitchen, bar, jogging track, honeymoon hearths, a cottage for the physically challenged, library, driver’s dormitory, babysitting services, and a gift shop can all be found here. Activities you can pursue include trekking, jungle safaris, bird watching, cycling, boating, and day trips to nearby attractions. Wildlife safaris at Rajiv Gandhi National Park (Kabini and Nagarhole). Supplement charge if any, will apply during Christmas and New Year Eve for stay and dinner. Wildlife safaris at Rajiv Gandhi National Park are subject to availability and government rules and have to be booked at the time of booking your accommodation. Wildlife safari: Any change in the taxes/park entrances by the Karnataka government will be notified in advance and will be applied with immediate effect for all bookings yet to operate. The same will have to be paid in advance or at time of check-in. The safari charges are non-refundable. The guests can use their own vehicle to reach the safari point and resort vehicle is available at additional cost. 15 days before check-in: Full 100% refund (subject to bank transaction fees applicable). Bookings cancelled under 7 days before check-in or No Show - No refund. Being in a jungle ambiance, heading out for a safari is the quintessential outdoor activity here. The Resort's proximity to three of the reserve forest gates allows it to arrange three different safaris to go on. The land safari at Dommankatte, Nagarhole, and boat safari by JLR, are sure to set your adrenaline racing. Leopards, tigers, and Asiatic elephants that are preserved in the Nilgiri Biosphere Reserve can be sighted here in their natural might. Other inmates like deer, bears, wild fox, and gaur too can be glimpsed. Bird watching, assisted by a naturalist, along the Kabini is a treat as many rare species from the nearby national parks flock to the banks of the river. 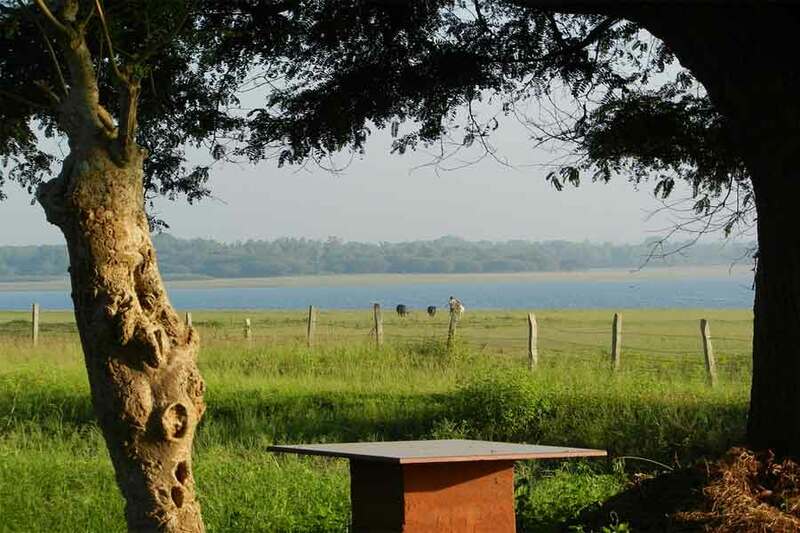 Kabini and the areas around the Resort witness a display of birds from the neighboring wildlife sanctuaries. Our policy of not using insecticides and pesticides has attracted many birds right onto the premises. Birding packages to the lakes of H.D Kote, Mysore, Kodagu /Kuruva islands in Wayanad and The Ranganathitu Bird Sanctuary can also be arranged. Trekking along the trails of the dense forest, endless grasslands, river streams, and waterfalls takes you through the mesmerizing world Western Ghat’s exquisite flora and fauna. If your heart yearns for panoramas beyond Kabini, treks to the Brahmagiri Mountains or to Pakshi Padalam in Kerala can also be arranged. Cycle rides along the backwaters of Kabini, through village roads and mud tracks is a leisurely holiday activity. Tibetan colonies and monks in prayer are some sights along the cycling path. Excursions to Balle Elephant Camp, Tibetan monasteries, Gurukulam Botanical Sanctuary, and local NGOs can be arranged on request. Exploring the Kabini backwaters on speed boats and motor boats is a spectacular way to soak in the purity and beauty of the amazing outdoors. Relish and learn from culinary classes conducted by master chefs. ‘Corporate Theatre’, a path-breaking way of team building with a slight edge of drama, is an important activity for corporate events. Get rejuvenated at the world-class spa which offers a variety of treatments and relaxation services. Or sign up for some yoga classes. The total distance from Mysore to this Luxury Wildlife Resort is 59.6 km (approx 1.25 hrs). From Mysore, take the road to H D Kote/Mananthvady. After about 45 km (approx 1 hr), you will reach Hand-Post Junction with a hand post signal. Drive straight through on the road to Bavali. At the Y Junction at Bavali, take a right towards Antharsanthe. After crossing the police outpost at Antharsanthe, take a left towards Hosamalla village. After passing the village, drive for about 4 km (approx 5 mins) to locate the Resort on your left. Landscaped surroundings in the deep woods, by the banks of the River Kabini, this property offers you the vacation you’ve always dreamed of. The immaculately manicured gardens and the property itself are cared for by the owners who pay special attention to every detail as they reside onsite. The beautifully-styled cottages come in three variants—Balinese, Kerala, and Karnataka. All of them have an outdoor Jacuzzi where you can relax in solitude. And if privacy is your concern, don’t worry for it’s all taken care of subtly. The food here is delicious with a wide range of cuisines to pick from, served in buffet style. The resort grows its own vegetables and fruits. An accommodating and welcoming staff is at your beck and call to ensure you have a comfortable stay. Activities on offer include a jungle safari at extra cost, thrilling speed boats with all safety arrangements in place, and a peaceful boat ride to the temple. You can also enjoy an authentic bullock cart ride complete with the jolts and bumps that are bound to have you in peals of laughter. Cycling and a dip in the pool is likely to appeal to fitness enthusiasts. After a fun-filled day, sit back and enjoy the tribal/native dance programme, or take off the edge at the well-stocked bar as you listen to some all-time hits. The resort also has a library with a wide array of books for children as well as a pool table for you to practice your shots. One portion of the road leading to the property is a village pathway. All said and done, the hospitality at the resort is sure to sweep you off your feet.